Private investigator Isabel Spellman is back on the case and back on the couch -- in court-ordered therapy after getting a little too close to her previous subject. 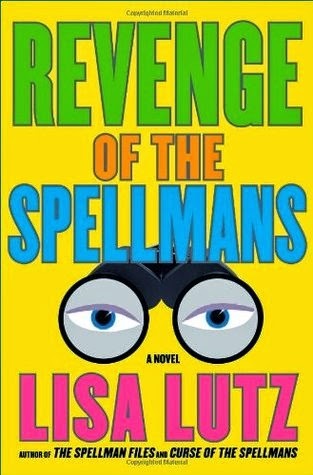 As the book opens, Izzy is on hiatus from Spellman Inc. But when her boss, Milo, simultaneously cuts her bartending hours and introduces her to a "friend" looking for a private eye, Izzy reluctantly finds herself with a new client. She assures herself that the case -- a suspicious husband who wants his wife tailed -- will be short and sweet, and will involve nothing more than the most boring of PI rituals: surveillance. But with each passing hour, Izzy finds herself with more questions than hard evidence. Meanwhile, Spellmania continues. Izzy's brother, David, the family's most upright member, has adopted an uncharacteristically unkempt appearance and attitude toward work, life, and Izzy. And their wayward youngest sister, Rae, a historic academic underachiever, aces the PSATs and subsequently offends her study partner and object of obsession, Detective Henry Stone, to the point of excommunication. The only unsurprising behavior comes from her parents, whose visits to Milo's bar amount to thinly veiled surveillance and artful attempts (read: blackmail) at getting Izzy to return to the Spellman Inc. fold. Loved this. Seriously. Such a fun read. Am so enjoying this series! I have GOT to get my hands on these books! I've been reading the blurbs and other people's reviews and dying to get stuck in!